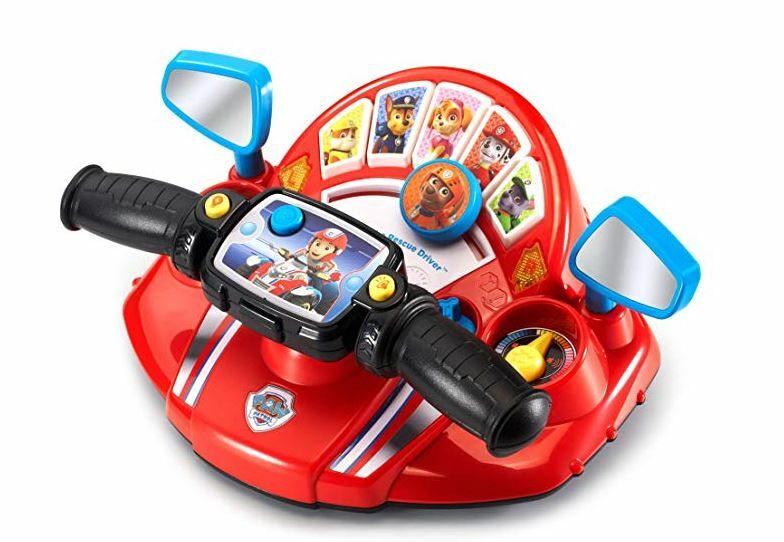 This VTech Paw Patrol Pups to The Rescue Driver on sale for $21.99 (Retail $39.99). Go for a drive on Ryder’s ATV with the PAW Patrol Pups to the Rescue Driver by VTech. Just like Ryder’s ATV, this interactive driver also transforms into a snowmobile and a hovercraft for exciting role-play. Turn the handlebars to steer the vehicle to save Mr. Porter’s van and more. Press the pup buttons to hear Ryder introduce all your favorite pups and tell you all about them. Go on exciting rescue missions and use the turn signals, check the rearview mirror and honk the horn to learn numbers, road safety and more. No job is too big, no pup is too small!